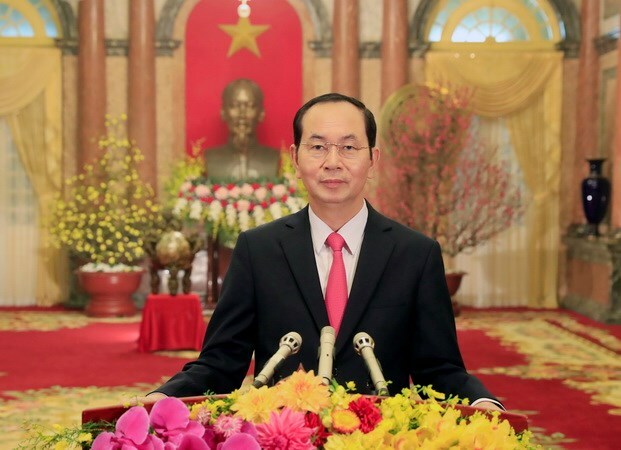 Hanoi (VNA) – President Tran Dai Quang and his spouse will pay State visits to India from March 2-4 and Bangladesh from March 4-6. The visits will be made at the invitation of Indian President Ram Nath Kovind and Bangladeshi President Mohammad Abdul Hamid. Vietnam and India set up their diplomatic ties on January 7, 1972. In 2007, the Vietnam-India relationship was lifted to strategic partnership level, with a focus on politics-diplomacy, national defence-security, economy-trade, energy, science-technology and culture-education. Following Vietnam’s visit by Indian Prime Minister Narendra Modi in September 2016, both sides upgraded their strategic partnership to a comprehensive strategic partnership to meet demand in the new situation.